Obituary for Gary S. Kline | Carlson-Shugarts Funeral Home, Inc.
Gary S. Kline, 77 of Brockport, passed away Friday, Jan. 25, 2019 at the DuBois Nursing Home. Gary was born Oct. 9, 1941 in Ridgway, PA, a son of the late Theodore C. and Loretta M. Kline. Gary served in the Pennsylvania National Guard. 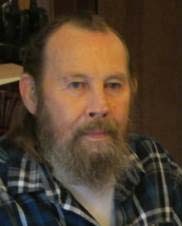 He lived in Elk County his entire life and worked in die setting and maintenance at area businesses, including Rebco and MascoTech/Exotic Metals. He was also skilled and very successful in auto repairs and body work. Gary enjoyed fishing, hunting, and sitting by a camp fire with his family. He is survived by his wife Patricia A. (Austin) Kline, two sons, Theodore S. Kline, Gary L. Kline; three daughters, Missy A. Gradl, Barbara L. Yaworski, Alice Kline; and 7 grandchildren. He is also survived by his brother Thomas L. Kline. Friends will be received from 4 PM to 6 PM on Wednesday, Jan. 30, 2019 at the Carlson-Shugarts Funeral Home Inc. in Brockway. A Funeral Service will follow at 6 PM also at the funeral home, with Pastor Dave Nagele officiating. Full Military Honors will be accorded by Parson-Marnati Post #95 of the American Legion following the funeral service. The family will have a private burial at the Brandy Camp Cemetery. Although flowers will be accepted, memorial donations to the Brockway Church of God or the Elk County Humane Society are preferred.